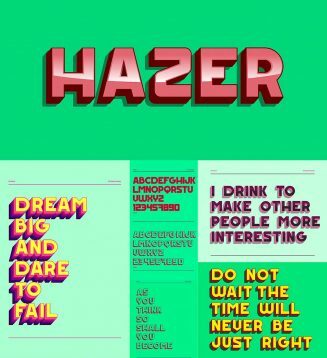 Hazer is a decorative typeface, ideal for posters,logos, etc. Hazer is completely free, caps only, basic Latin and Greek glyphs. You can change styles with caps on and off. Tags: decorative font, typeface, typo.